Former MP George Galloway has launched a legal challenge over his defeat at Thursday’s general election and claims to have evidence of “malpractice” in postal voting. Galloway won the Bradford West seat in a 2012 by-election but lost it to Labour candidate Naz Shah on Thursday, who secured a majority of more than 11,000 votes. Galloway claims the results were affected by “false statements” made by the Labour candidate during the election campaign. He has accused Shah of lying about him on Urdu-language television and falsely claiming she was forced into marriage. 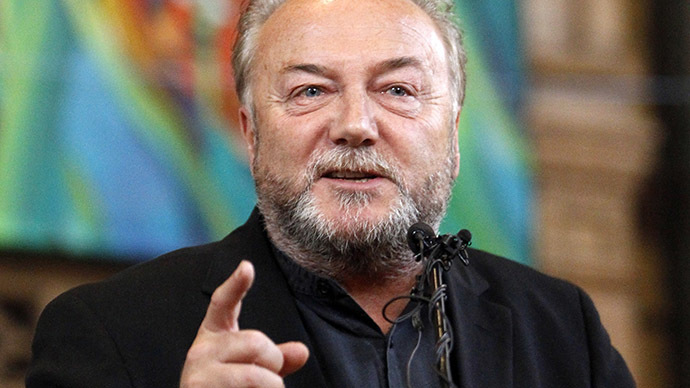 Shortly before polling day, Galloway filed a complaint to the director of public prosecutions about a nikah (an Islamic wedding certificate) Shah produced to prove she was forced to marry her cousin in Pakistan when she was 15. Shah has announced plans to sue Galloway for bringing the circumstances of her marriage into question. He is currently “in the process of compiling the information” needed to form part of the petition to have the results rectified. We've begun legal proceedings seeking to have result of the Bfd West election set aside. I cannot therefor discuss my own election for now. A spokesman for Galloway said the legal action is still at an early stage. The complaint was made under section 106 of the Representation of the People Act 1983, which relates to candidates making false statements during campaigns. Galloway should “accept he was booted out by the people of Bradford West,” the spokesman said. On Election Day, Galloway was reported to the police for allegedly tweeting about exit polls before voting closed.